After spending a fabulous 3 days and 2 nights among some of the most beautiful babywearing enthusiasts and their sweet babes many of us were not quite ready for the end. 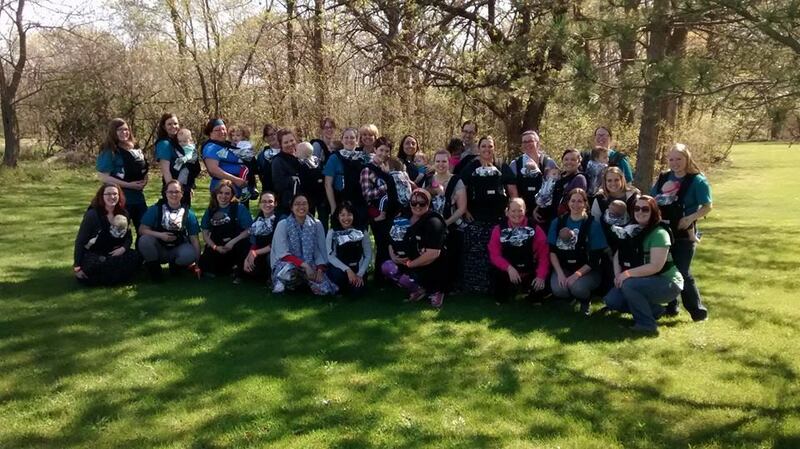 Rhonda Brackett, of Rhockett Weaving, set out to make history with a babywearing retreat right here in Iowa. 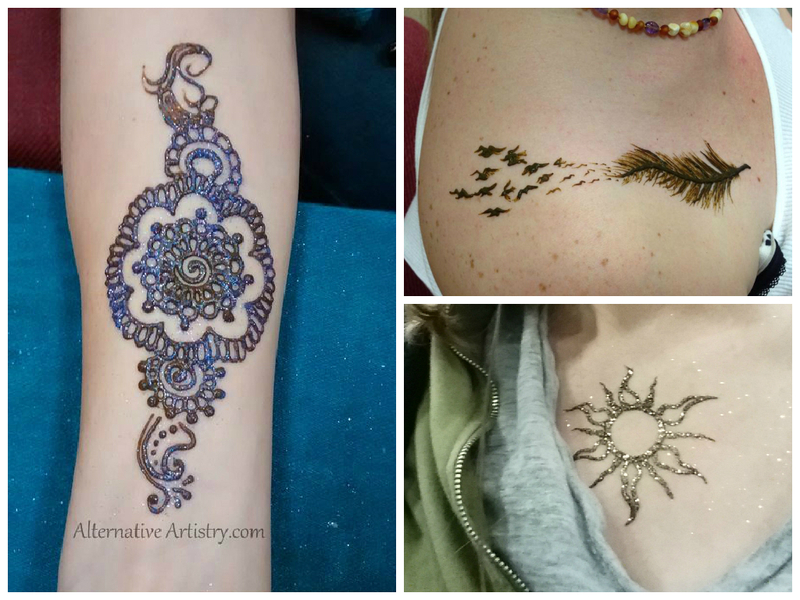 She had grand plans of getting babywearing mamas together to not only add to their babywearing knowledge but to also provide a weekend getaway with yoga, campfires, henna art, and all things babywearing. 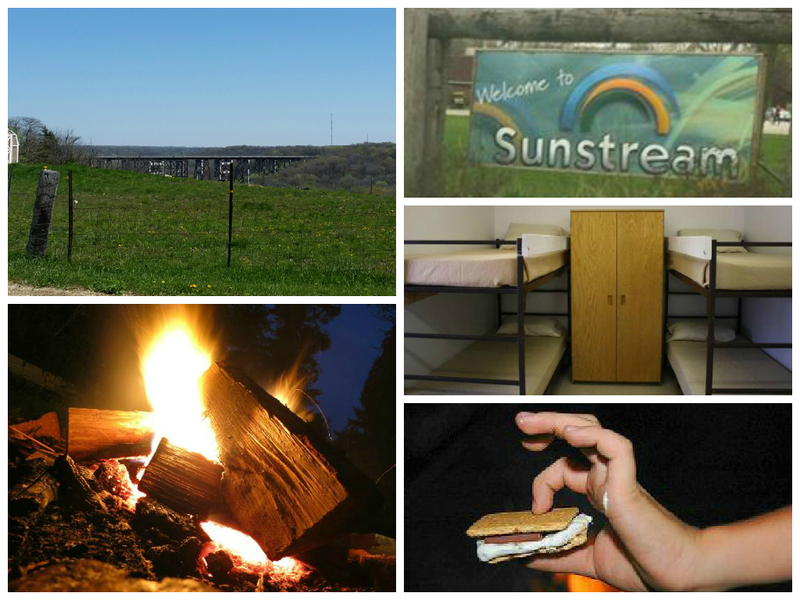 Her retreat went above and beyond our expectations! After saying our goodbyes many of us connected by posting in the Rhockett Retreat Ramblings Facebook group, sharing our pictures and stories. Some of us were busy friending more Facebook friends. Afterall, our babywearing mama tribe can never be too big. Connecting on Facebook allows us to extend our friendships beyond the weekend. With such an amazing swag bag it wasn’t surprising when new babywearing pictures started popping up on Facebook. The Tekhni Rhockett Retreat Exclusive Delta Rockabilly with Repreve is too gorgeous to sit in a stash untouched. I think everyone who has wrapped with it has loved it. We got to see a beautifully dyed one *plus* we got a tutorial on dyeing so it will be fun to see the different variations on an already amazing wrap. 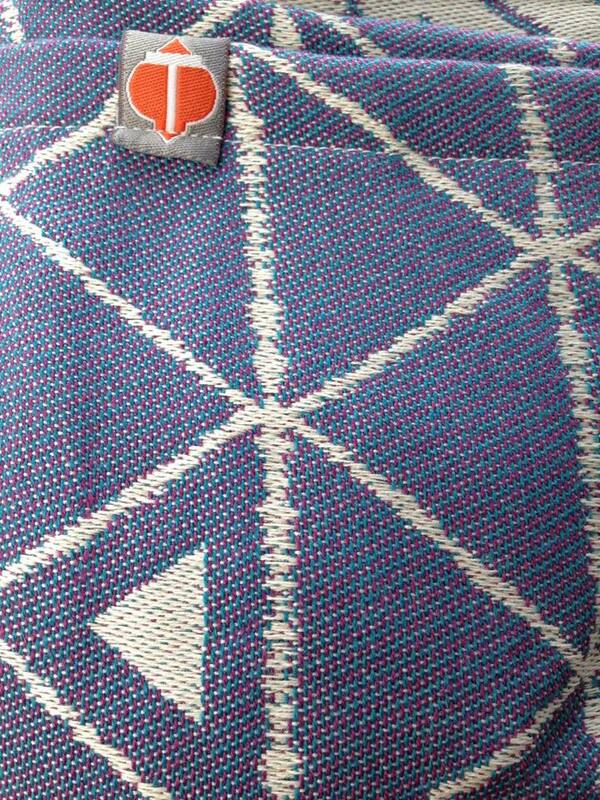 We also got a limited edition Ergobaby 10th Anniversary design, which was designed by Karin Frost herself. It has a stunning Polynesian tattoo art design on the hood and interior. And since Ergobaby first began in Hawaii, it’s a very fitting choice. 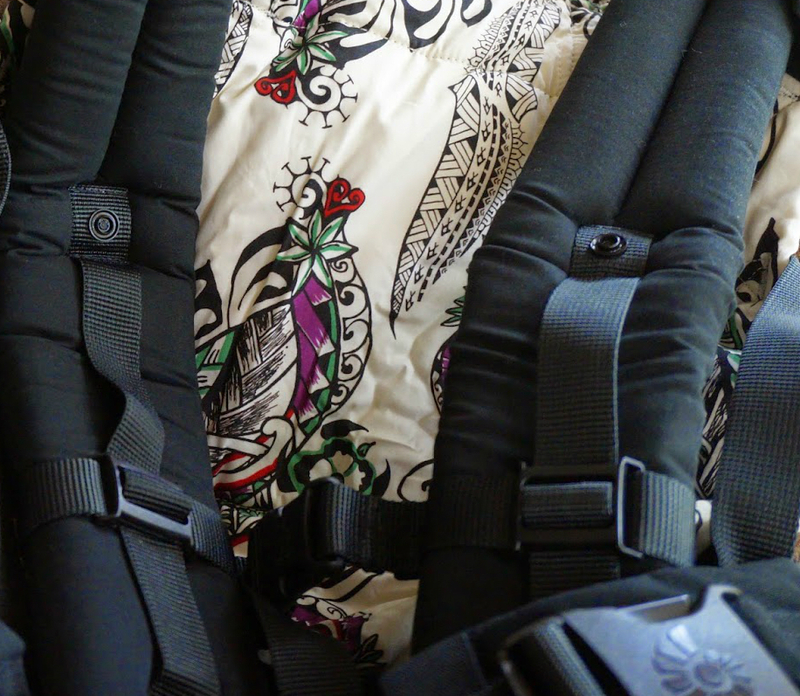 Ergobaby helped make babywearing comfortable and accessible to many families and this special carrier is a spectacular addition to anyone’s stash or lending library. With all of the babywearing energy between the Ames Area Babywearing and Beyond admins we decided to make plans to expand the babywearing resources here in the Ames area. Currently we have our Facebook group and our monthly Meet Ups. We have plans to build this website, start a lending library, and educate the community on the benefits of babywearing and how to safely do it. Stay tuned for more details – and if you have a little extra time consider volunteering your talents to help achieve these new goals. Sooo…what happened at the Rhockett Retreat?!? 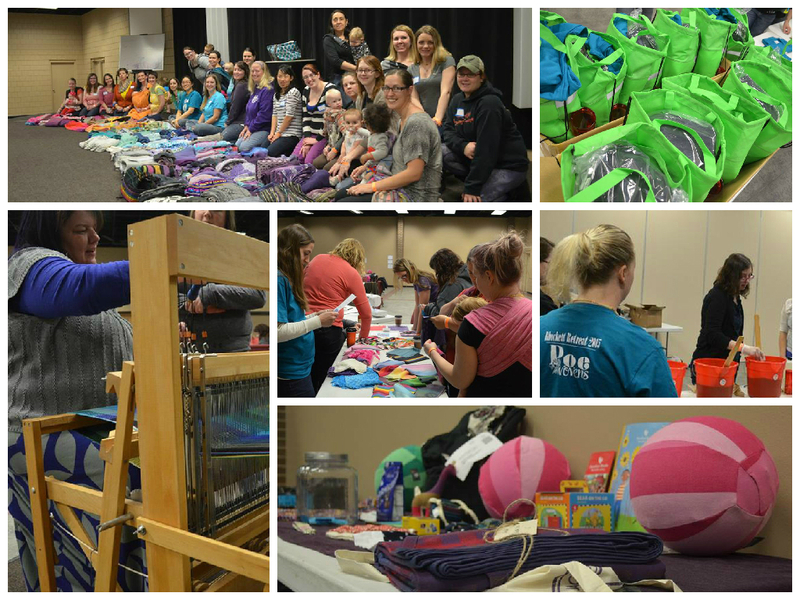 An epic rainbow stash shot, magnificent swag bags, Rhonda in action at a loom, wrap scrap crafts, a learn-to-dye demo, and fantastic door prizes! There was plenty of babywearing tips & tricks shared and lots of fun playing around with the stunning carriers that people brought to share. While there was plenty of babywearing stuff going on, Rhonda & her planning team didn’t forget the retreat part. 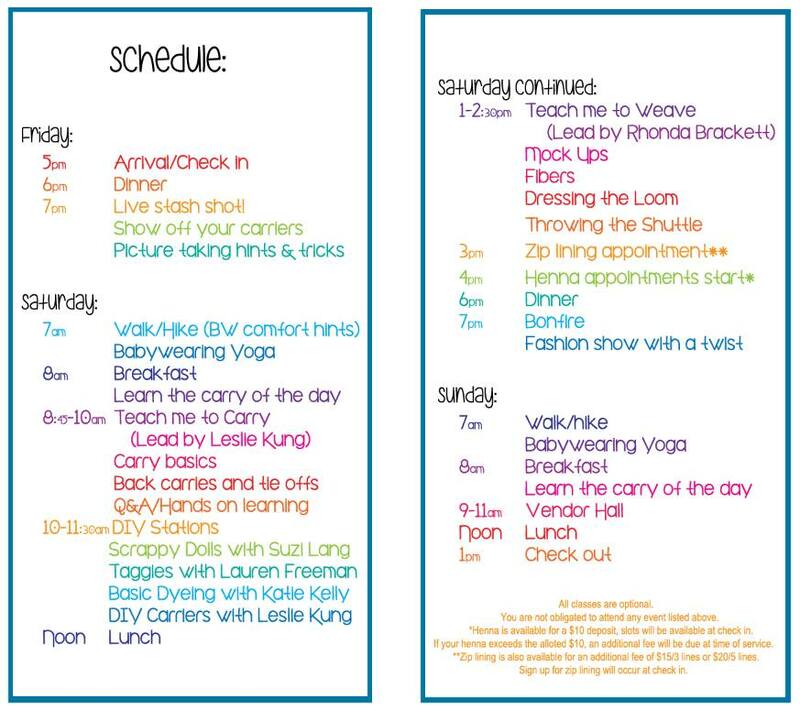 We could customize the schedule and were free to come and go as we pleased. The sun was shining by the time Sunday rolled around and we were able to get some group shots with our new carriers. Since many of us came to the retreat solo we wrapped our new Tekhnis or a demo doll if we could find one. There were definitely plenty of cute babies there, but for those of us who left our little ones at home we were anxious to get back to them. It was a sensational weekend and we have Rhonda & her team to thank for that. We are already counting down the days until the next one…only 359 or so days to go! Will you be attending next year with us?! ?